Radon comes from the uranium in soil, rock, and water and contaminates the air you breathe. As you may know, uranium is radioactive. Found all over the world, this element leaks into any type or age of building. Unfortunately, you and your family are most likely to get your greatest exposure at home, work, and school where you spend most of your time. The good news, however, is that fixing a radon problem is very straightforward and a noninvasive process. 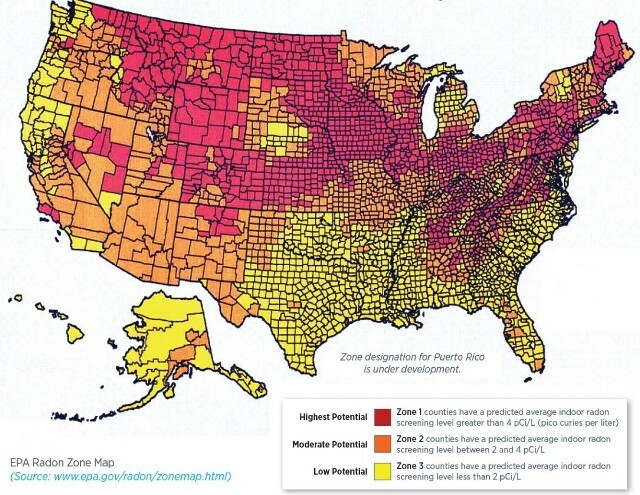 The EPA has declared Iowa to be a Zone 1 action level area. Over 70% of homes in Iowa have elevated radon levels measuring more than 4.0 pCi/l, which is the highest of any state in the country. Every house needs to be tested separately since radon levels can vary widely from building to building. What happens over time with exposure? 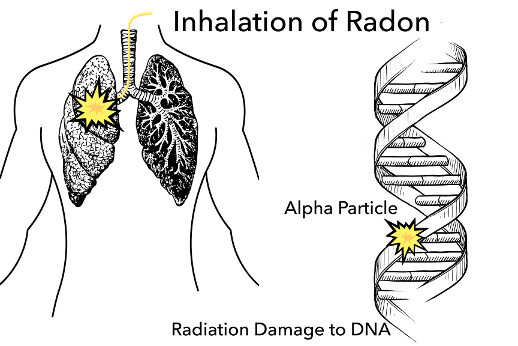 Radon gas decays into radioactive particles that get trapped in your lungs as you breathe. As the gas breaks down, it leaves a radioactive particle in your lung. This damages lung tissue and can cause lung cancer over the course of time. Every individual's body reacts to radon differently. Time for some may be a lot longer or shorter than others. 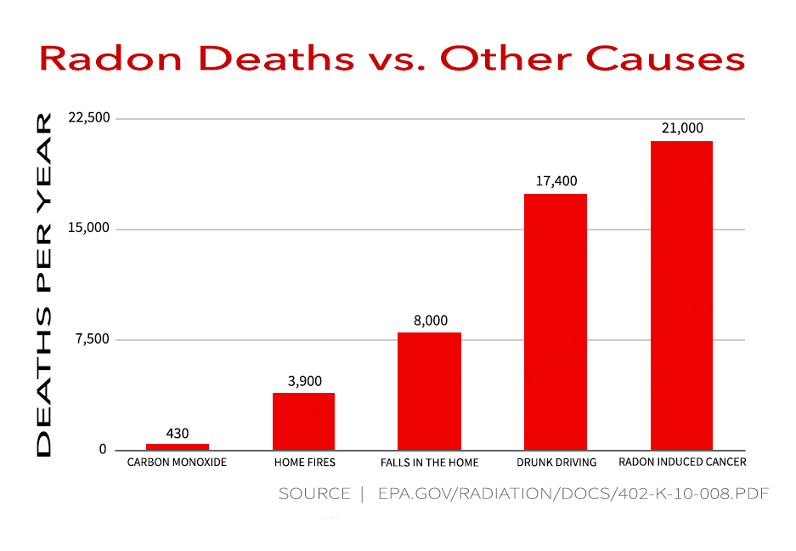 The good news is that you can greatly reduce the risk of lung cancer with a radon mitigation system. The first step you can take is to figure out if you have a problem by testing your home, work or school. Where can I buy my radon test kit? You can order test kits online here from a certified radon lab. The tests themselves are a relatively quick and simple process to give you an accurate reading. The Enviromental Protection Agency reccomends re-testing the home every two years to ensure radon levels are low regardless if you have a system in your home or not. Should you have any questions feel free to click here to contact us or by giving us a call at (319) 987-3418.